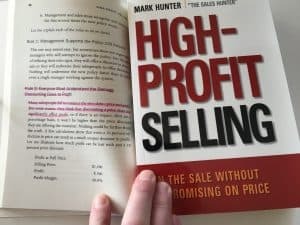 When I’m asked to assist sales teams with pricing and how to move away from their discounting habits, I start by asking questions. 1. 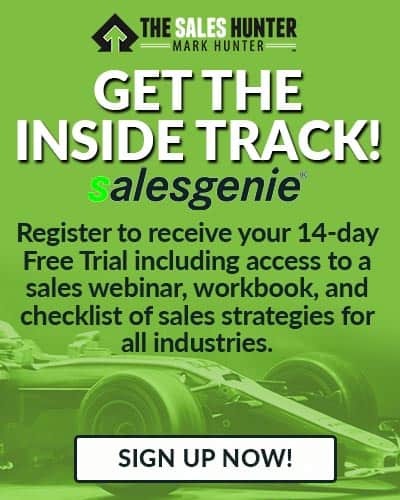 What % of your sales are made only because a discount is offered? 2. Why was the discount given? 3. What would have occurred if you had refused to reduce your price? 4. Why is the customer asking for a discount? 5. 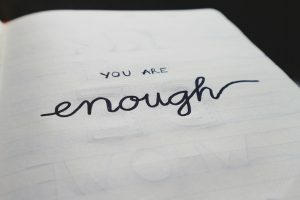 How confident are you in the reason the customer gave you? 6. What could you have changed in your sales presentation to minimize the discount? 7. What is the real cost of the discount to you and your company? 8. Was there anything cut in the offer to help offset the loss of profit due to the discounted price? 9. What is the long-term impact of the price discount on the profitability of the customer? 10. How other customers going to react if/when they find out you gave a discount to another customer? 11. What would it take to not allow any discounting of prices? 12. Is discounting of the price attracting customers who could not afford what you offer at full price? 13. Are the customers you gain by discounting costing you time and effort in other other ways? 14. Is your prospecting process identifying the wrong type of prospect? 15. Should sales management be required to sign-off on all price adjustments? 16. What role can Marketing play to reduce price discussions? 17. Is your product offering not structured correctly to maximize price? 18. Are discounts occurring on specific items more than other items? 19. What is the trend-line with regard to discounting? 20. What would the profit line of the company look like if there were no discounts? 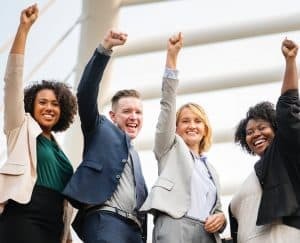 The reality is that until you and your company dig into the why behind the culture of discounting and the impact it is having, you likely won’t realize how dangerous discounting is. To help you look even closer at these discounting issues, I’ve released a new eBook. 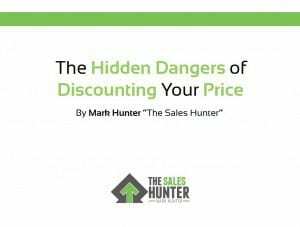 You can get it free at this link: The Hidden Dangers of Discounting Your Price. PrevPreviousVIDEO SALES TIP: Is Social Media Killing Your Sales Success?